Packed with punch, this gun-metal silver eyeshadow is bursting with energy! Perfect for every girl, whether you’re the high-maintenance fusspot or the fun-lovin’ sweetheart, this colour is a blast to wear! 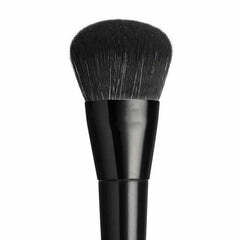 Its high-quality pigments are soft and long-lasting, while its ingredients are non-toxic. The jar is also made with eco-friendly materials for a down-to-earth way to enjoy your favourite looks.